Immerse yourself in the tranquil surrounds of Broome’s premier adults-only escape, Kimberley Sands Resort and Spa. Located in a peaceful bush setting just minutes from the turquoise blue waters and white sands of iconic Cable Beach, the boutique resort captures the essence of Broome with its stunning design and luxury facilities, allowing guests to relax with a poolside cocktail, unwind in our day spa, or dine at award-winning restaurant La Perle. Whether you’re seeking relaxation, adventure, business or a little of each, you will find the perfect adults-only retreat and personalised attention at Kimberley Sands Resort and Spa. Pinctada Cable Beach named best Luxury Resort in Western Australia 2010 ; SELENE Brasserie named Western Australias Best Country Restaurant of the Year ; Pinctada Cable Beach has been honoured by the Australian Hotels Association (AHA) as offering Australias Best Resort Style Accommodation 2010. Pinctada Cable Beach, the flagship of Marilynne Paspaley AMs Pinctada Hotels & Resorts, won the best Luxury Accommodation award at The Western Australian Tourism Awards, capping an exciting two months for the hotel group based in the unique Kimberley landscape of northwest Australia. Kimberley Sands Resort and Spa is a short stroll from the iconic Cable Beach with its pristine sands, azure waters and spectacular sunsets. 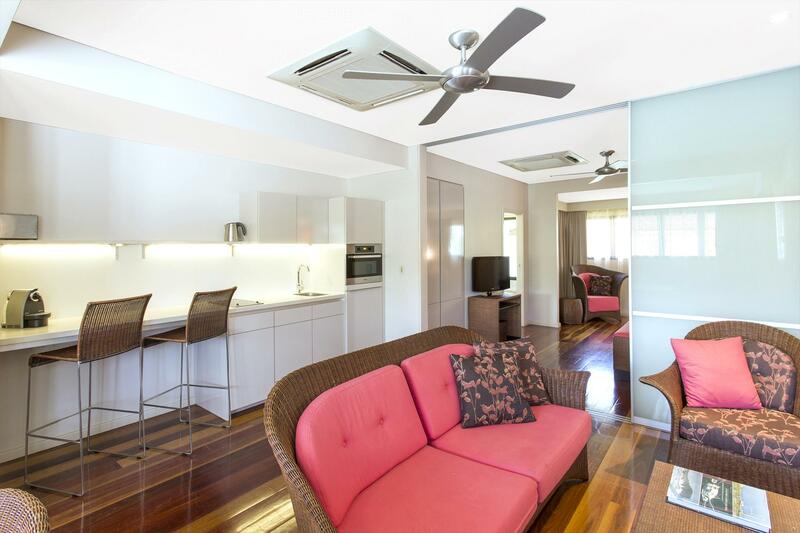 Located 7km from Chinatown, the heart of Broome and 6km from Broome international airport, turn right onto Murray Road Cable Beach and locate us on the top of the hill. Our 1 Bedroom Suites are created for privacy and designed to capture the natural Kimberley light and the Indian Ocean breezes. 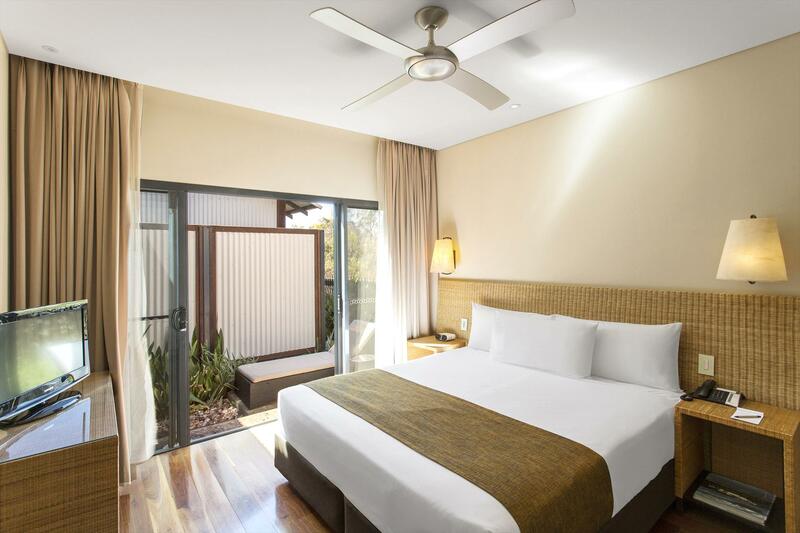 Opening onto a lush shared courtyard, these graciously sized suites reflect Broome�s freedom and space, beauty and contrasts. Features include a private deck; spacious marble bathroom with a free-standing bath; original artwork; discerning d�cor; polished hardwood floors, dining area, kitchenette and separate bedroom. Step outside to relax in the garden plunge pool or create your own world within. Here, all needs and desires are anticipated and include a king bed with fine linen, out side sitting area, Hi-definition LCD TV with over 150 on demand movies, Foxtel channels, iPod docking station, Nespresso coffee machine, intelligent lighting and air conditioning, overhead fan, FREE wireless internet, around-the-clock attention and easy access to the resort�s Maxima Pool, Day Spa, gym, Deck restaurant and poolside bar. Our 2 Bedroom Suites are created for privacy and designed to capture light and the Indian Ocean breezes. 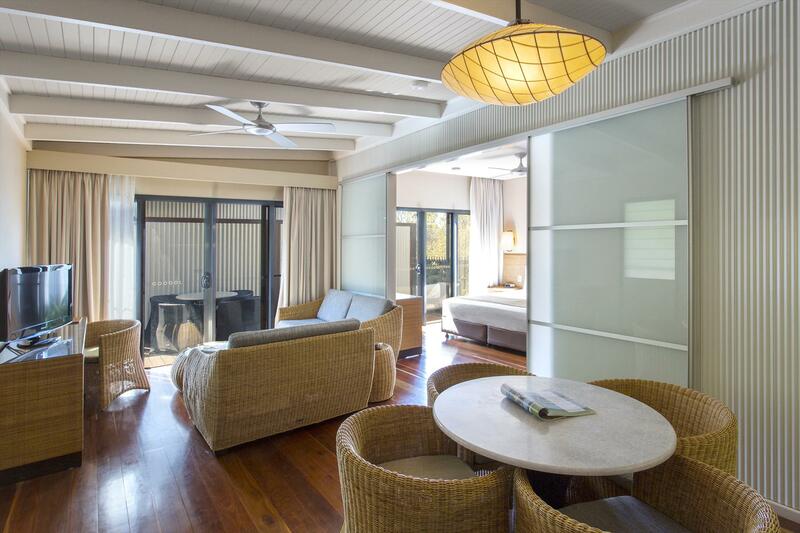 Opening onto a lush courtyard, these graciously sized suites reflect Broome�s freedom and space, beauty and contrasts. 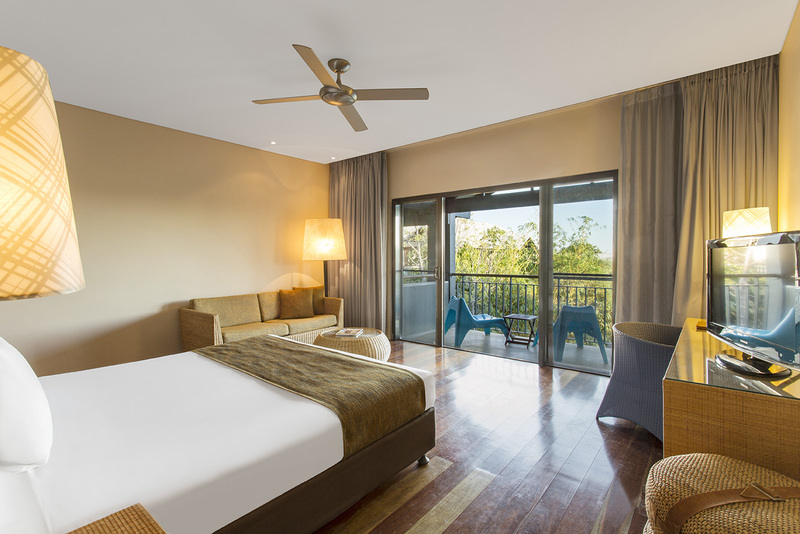 The two bedroom suite consists of a 1 Bedroom Suite, interconnected with a Guest Room. Features include a private deck in each room; spacious marble bathroom with a free-standing bath in the Suite; original artwork; discerning d�cor; polished hardwood floors, dining area, kitchenette and separate bedroom with a king bed in the 1 Bedroom Suite, and twin beds in the Guest Room. Our Courtyard Rooms are designed for privacy and open onto a lush shared courtyard with a relaxation plunge pool in its center. 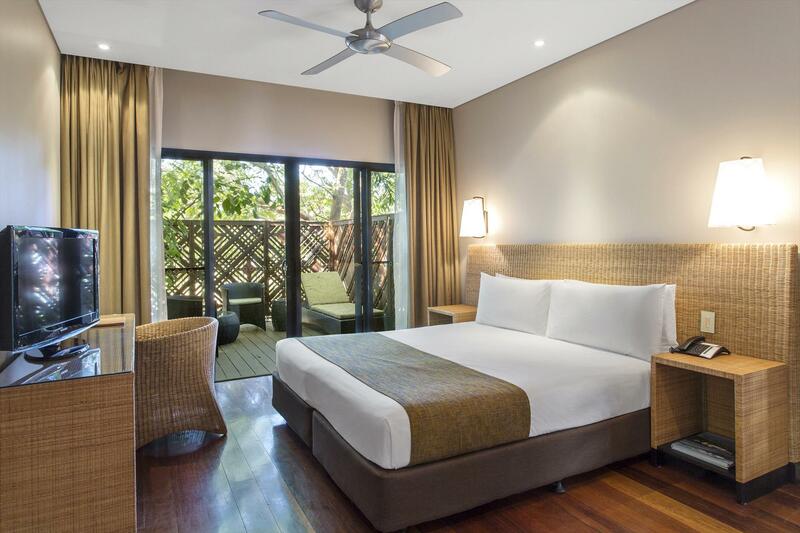 These graciously sized rooms are created for privacy and designed to capture light and the Indian Ocean breezes. Reflecting Broomes freedom and space, beauty and contrasts, they feature a private deck; spacious marble bathroom with a free-standing bath; original artwork; discerning d�cor and polished hardwood floors. Here, all needs and desires are anticipated and include a king bed with fine linen, out side sitting area, Hi-definition LCD TV with over 150 on demand movies, iPod docking station, intelligent lighting and air conditioning, overhead fan, FREE wireless internet, around-the-clock attention and easy access to the resort�s Maxima Pool, Day Spa, gym, restaurant and pool bar. Designed to capture light and the Indian Ocean breezes our Garden View Rooms feature a spacious marble bathroom with a shower built for two, polished hardwood floors and a private balcony or courtyard overlooking the cascading water features and landscaping of the resorts Meditative Gardens. 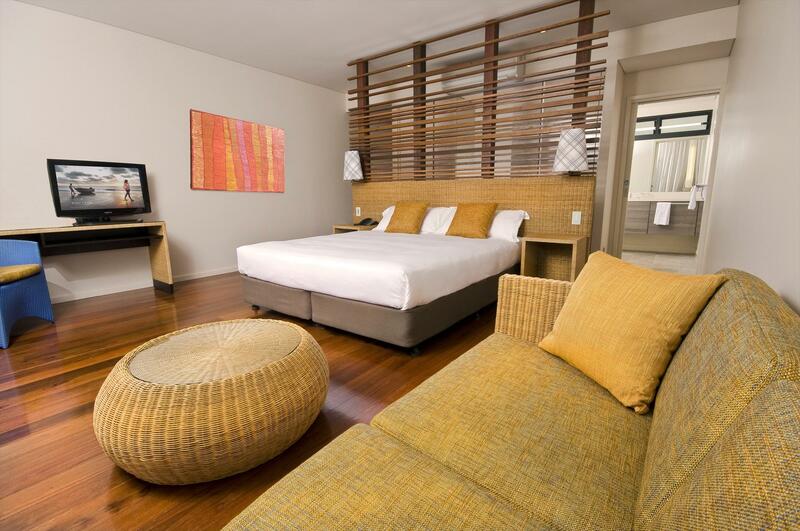 These graciously sized rooms reflect the freedom, space and colours of the famous pearling town of Broome. Here, all needs and desires are anticipated and include a king bed with fine linen, out side sitting area, Hi-definition LCD TV with over 150 on demand movies, Foxtel channels, iPod docking station, intelligent lighting and air conditioning, overhead fan, FREE wireless internet, around-the-clock attention and easy access to the resorts Maxima Pool, Day Spa, gym, Deck restaurant and poolside bar. Relaxed elegance and sophisticated style define our four Master Pearler Suites. These graciously sized suites offer the ideal setting to experience Broomes spectacular setting suns and rising moons. The suites overlook the resorts pool and landscaped gardens from the first floor above our Pool Bar. Original artwork and handpicked decor and furnishings reflect the colours and textures of the Kimberley. Other features include a spacious marble bathroom with a free-standing bath with an adjacent flat screen TV, dining area, kitchenette and lounge, and a separate bedroom with a king bed with fine linen. Please note these rooms are located up one flight of stairs and have an enclosed balcony. Designed to capture light and the Indian Ocean breezes our Pool View Rooms feature a spacious marble bathroom with a shower built for two, polished hardwood floors and a private balcony or courtyard overlooking the cascading water features and landscaping of the resorts Maxima Pool or Meditative Gardens.